Plush furniture, homely yet contemporary interiors and a spacious setting fitted with quality products are just some factors that make Rapunzel De Beauty Hub N Spa an ideal spot to tend to your beauty and wellness needs. 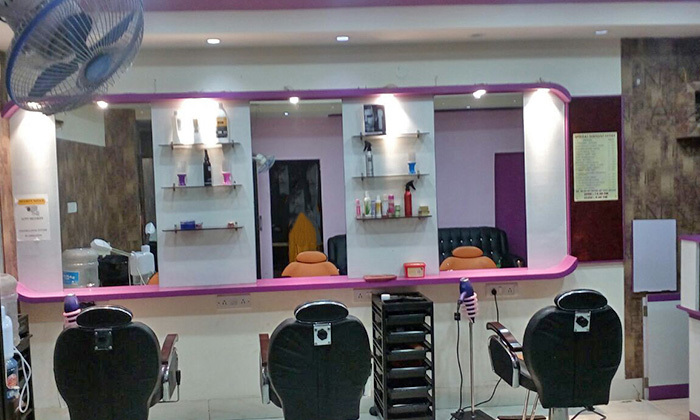 Located in Kestopur, Bidhan Nagar, Rapunzel De Beauty Hub N Spa is a unisex salon that offers a wide range of hair care and beauty services to choose from. The salon is run by trained stylists and beauticians who are well versed with the latest trends and offer services based on the requirements of the customer. Get that fairytale look with a trip to Rapunzel De Beauty Hub N Spa!